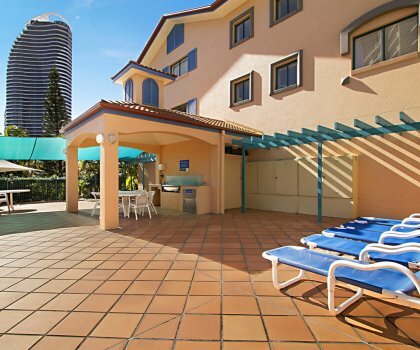 Enjoy a totally relaxing holiday at Aruba Surf Resort. 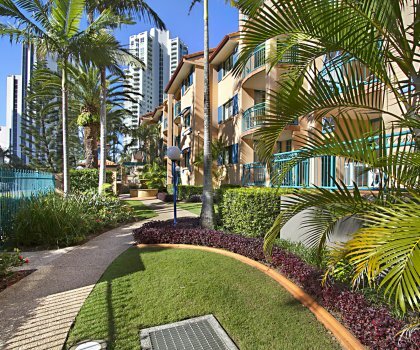 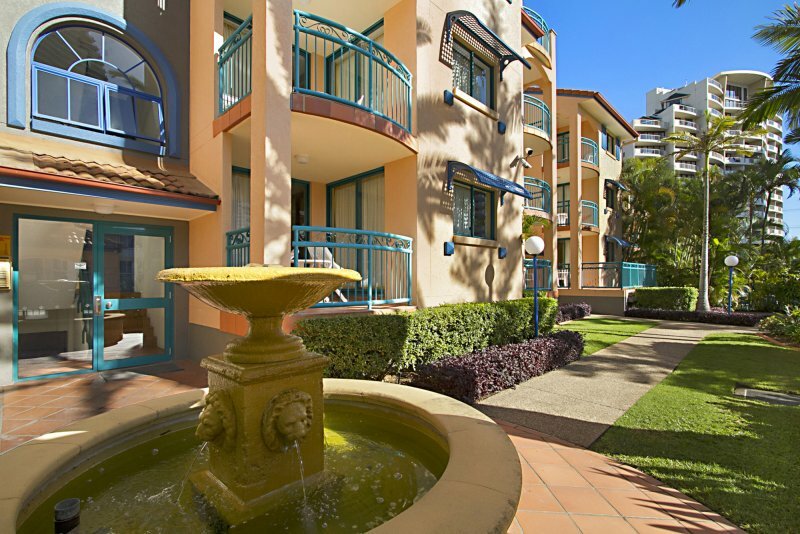 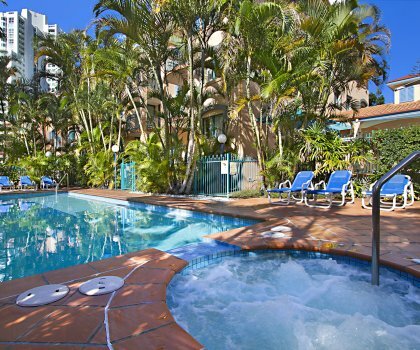 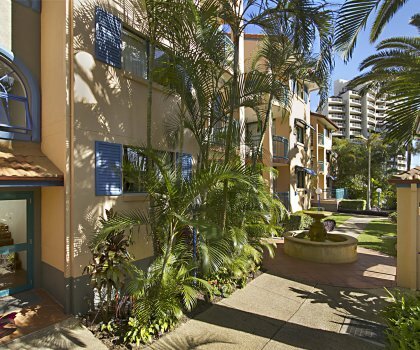 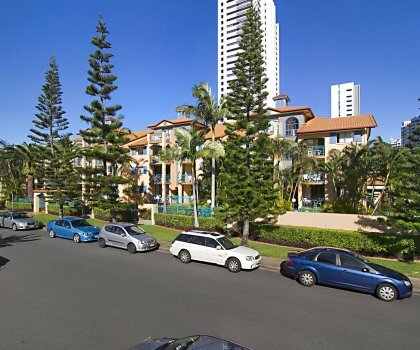 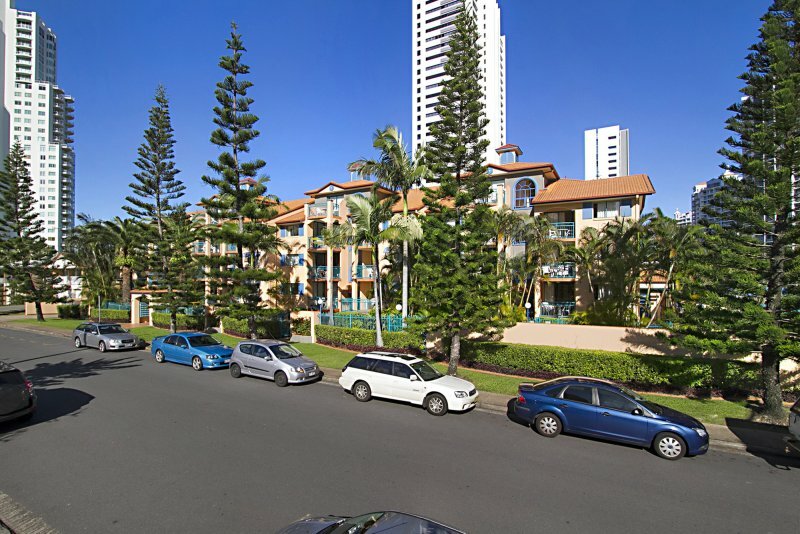 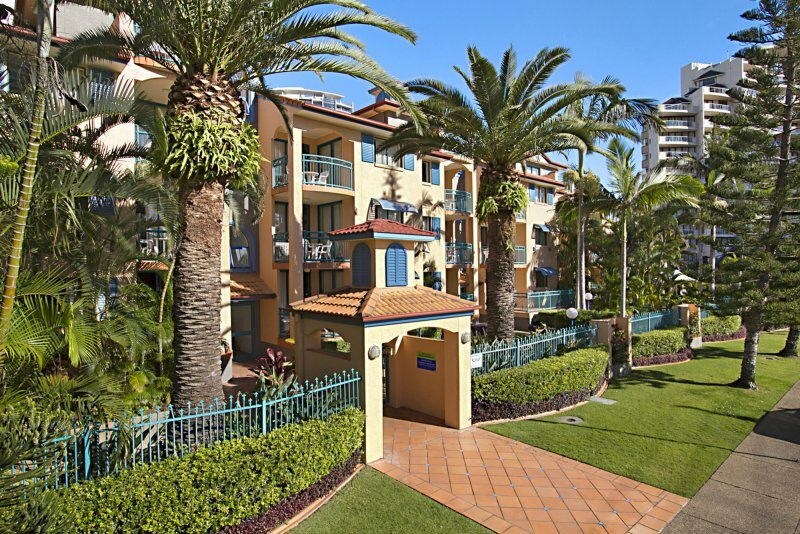 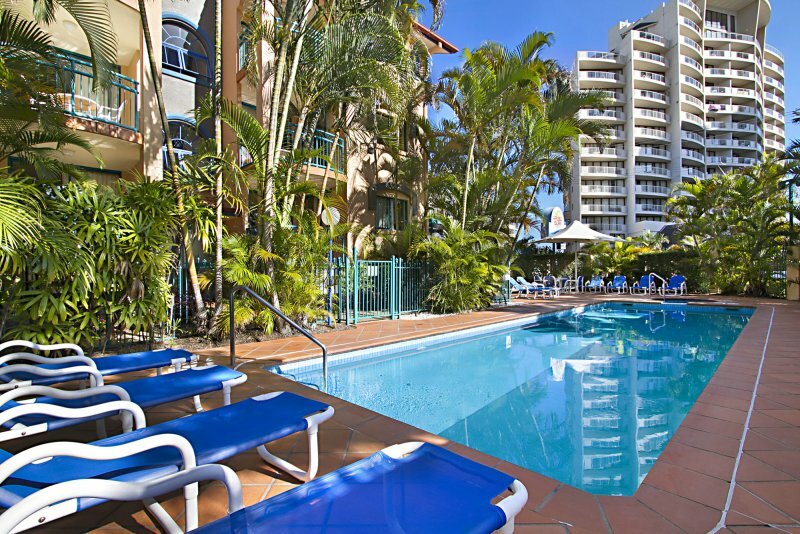 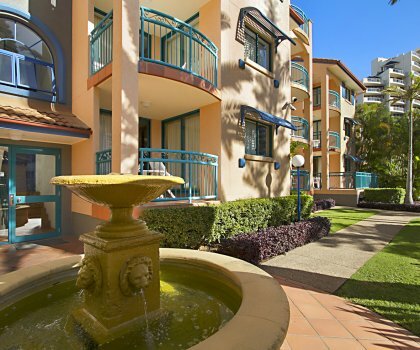 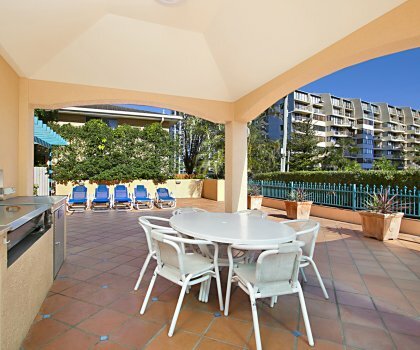 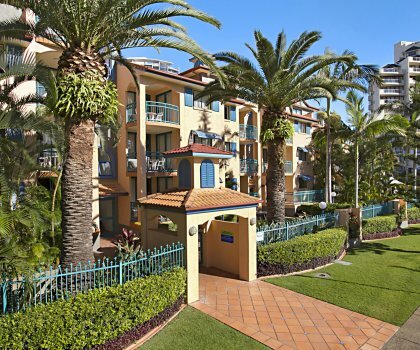 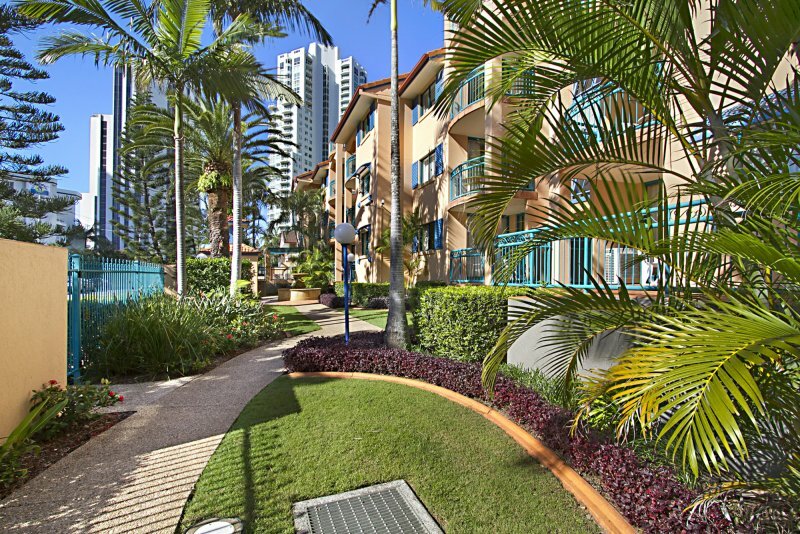 Our Broadbeach resort accommodation offers spacious and cosy holiday apartments with access to excellent resort-style facilities and amenities that you can enjoy while holidaying on the Gold Coast. 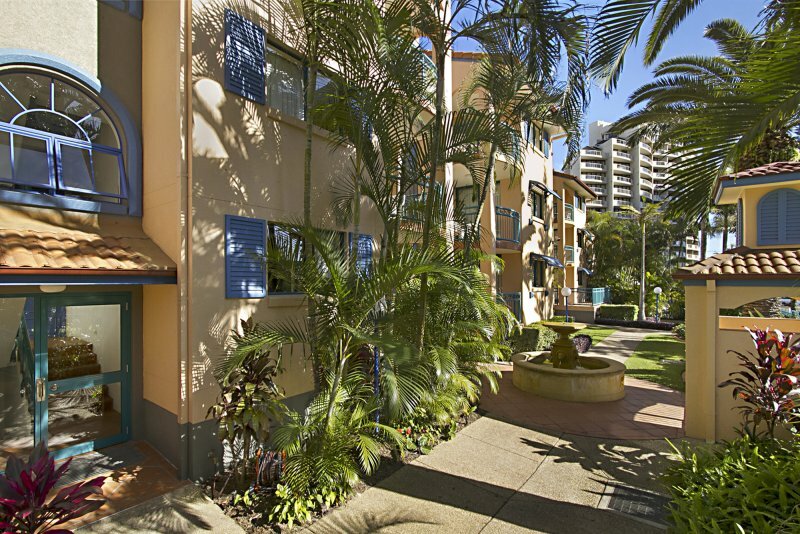 Please note that our Resort is not serviced by lifts, should you require a lower level apartment please notify us prior to your arrival and we will do our best to accommodate. 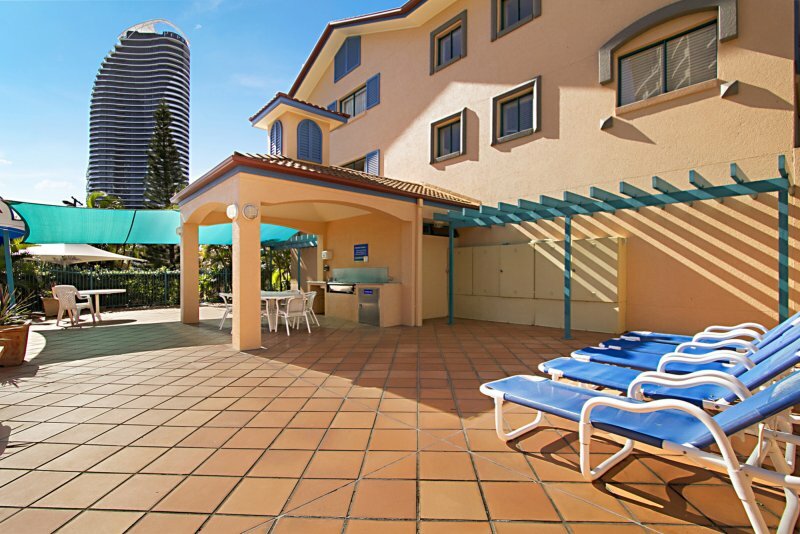 Aruba Surf's sun-drenched pool / spa area is tailor-made for relaxation but also ideal for the guests keen on a morning lap. 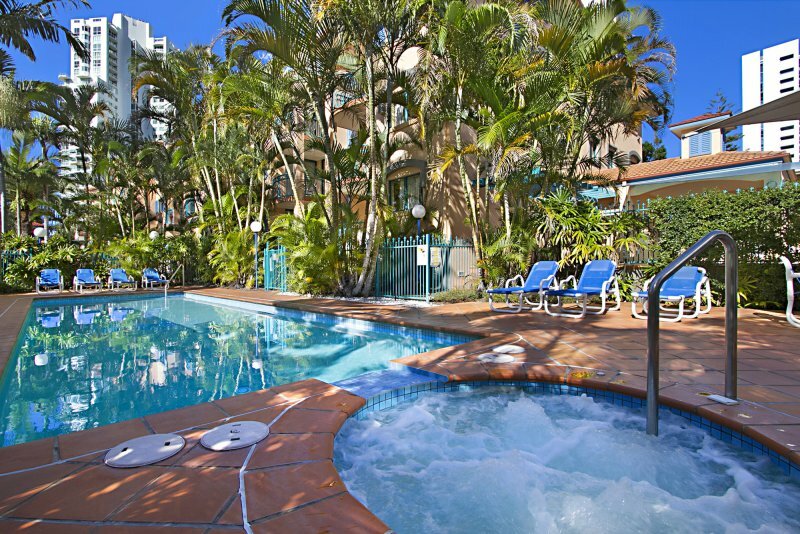 The pool is heated in winter. 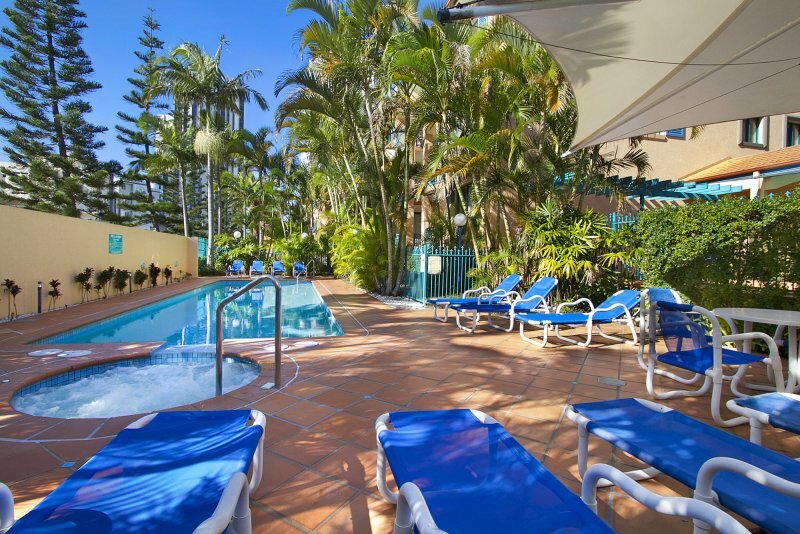 After a whole day of holiday activities, guests at out Broadbeach holiday apartments can relax and take a soothing down time at Aruba Surf Resort's spa pool. 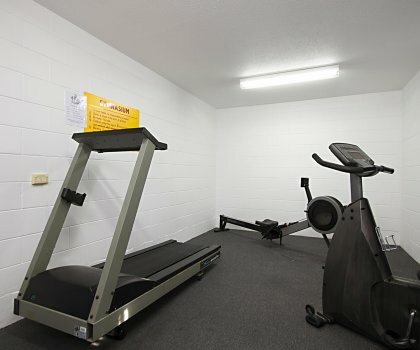 Keep fit and stay healthy even on holiday. 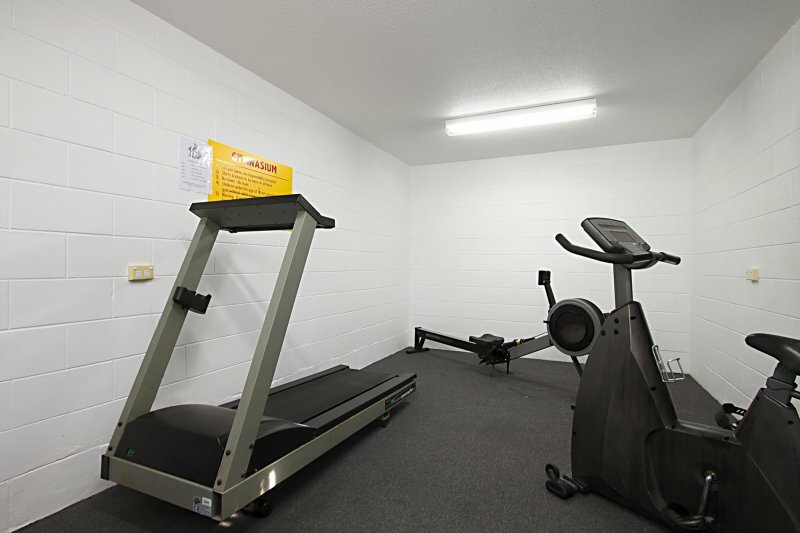 You can carry out your regular exercises and fitness training at our gym / fitness room. 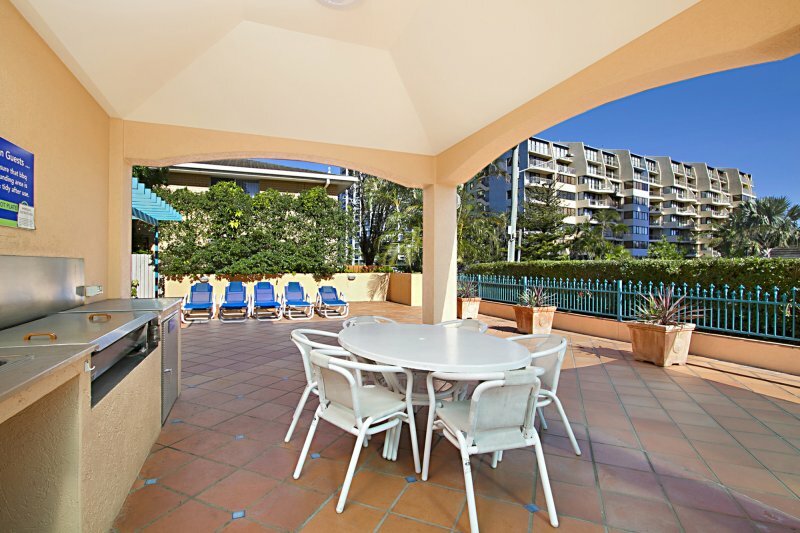 Adjacent to the pool area is a generous BBQ and entertainment area – great for family lunch on the poolside, or for dining al fresco on balmy Broadbeach evenings. 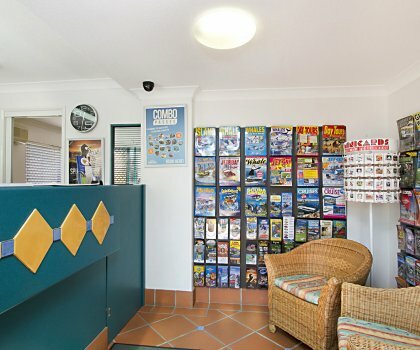 Our friendly tour desk staff at Aruba Surf will be glad to help you plan your Gold Coast holiday. 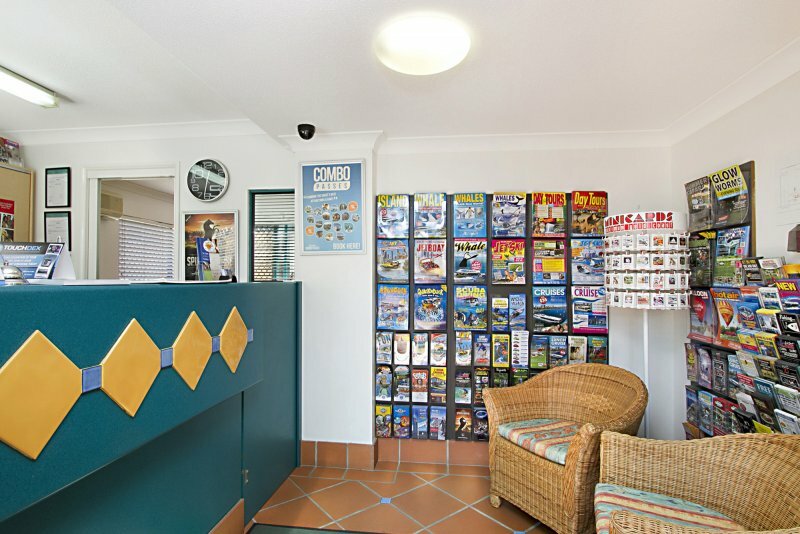 We can also organize your airport transfers, dinner bookings, car hire, tours, and theme park tickets. 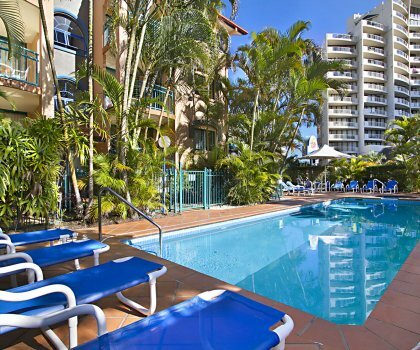 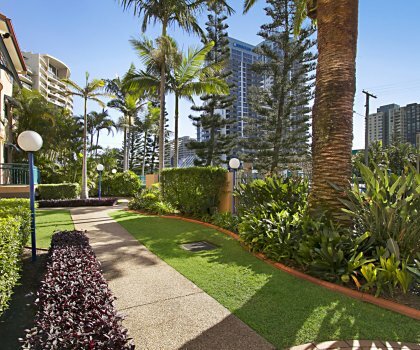 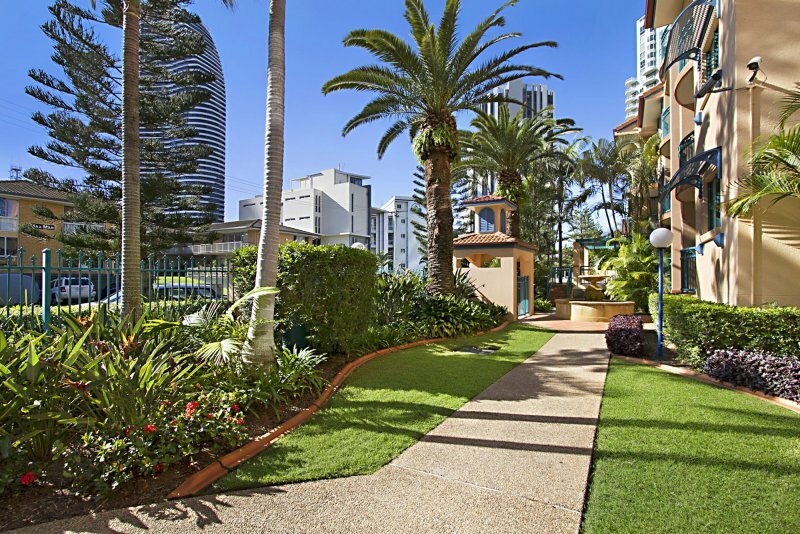 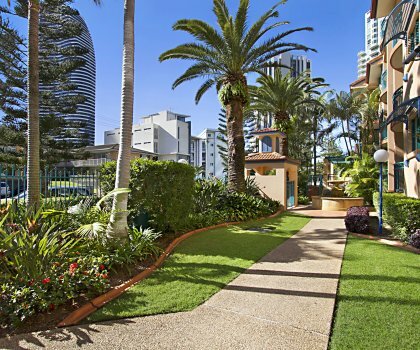 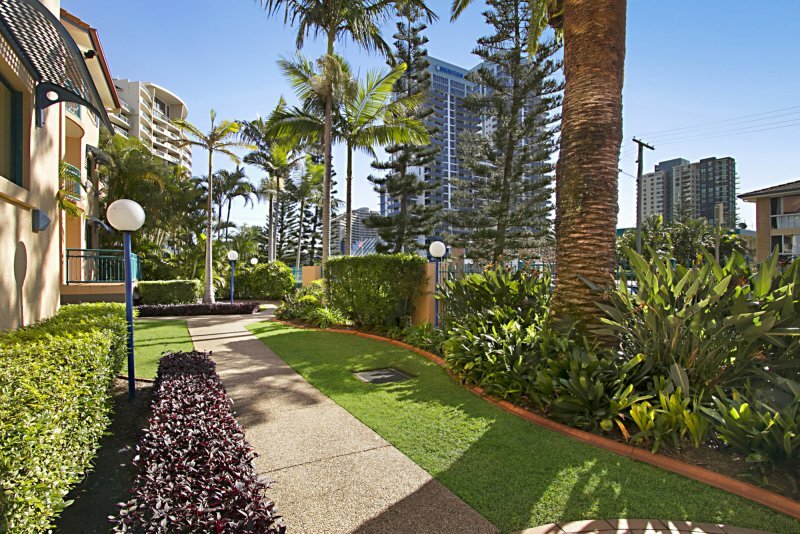 Guests can hire strollers, cots, highchairs, DVD players and beach towels that are available at our Broadbeach family apartments. 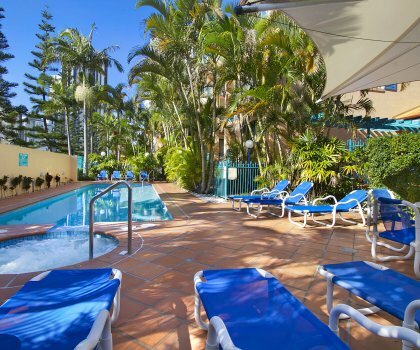 Pre bookings are advisable.